WEST MIFFLIN, Pa. — Kennywood is making a commitment to ensure all visitors, even those with sensory needs or on the autism spectrum, have an amazing experience. As part of this commitment, the amusement park recently earned the Certified Autism Center designation, which is awarded by the International Board of Credentialing and Continuing Education Standards (IBCCES) to organizations that have completed a training and review process with the goal to better serve individuals with autism and other sensory needs. In addition to training and certification, Kennywood will complete an onsite review by IBCCES and provide additional communication, resources, and adjustments for families with special needs. Currently, ride admission passes are available onsite for guests with disabilities, which will make rides more accessible. Sensory bags are also available for guests, which include ear plugs, a fidget toy, squishy ball, and coloring books and crayons. While an officially designated quiet space is not yet available within the park, Kennywood is identifying lower-traffic areas for families to visit when in need of a break from the normal activity of the amusement park. Families can visitwww.Kennywood.com/Certified-Autism-Center for more information on Kennywood’s efforts to serve guests on the autism spectrum. Comments Off on Kennywood becomes Certified Autism Center • Extra! Extra! ICON, Blackpool Pleasure Beach’s newest ride and the UK’s first ever double launch rollercoaster, has been named Best New Visitor Attraction at the Blackpool Civic Trust Awards. 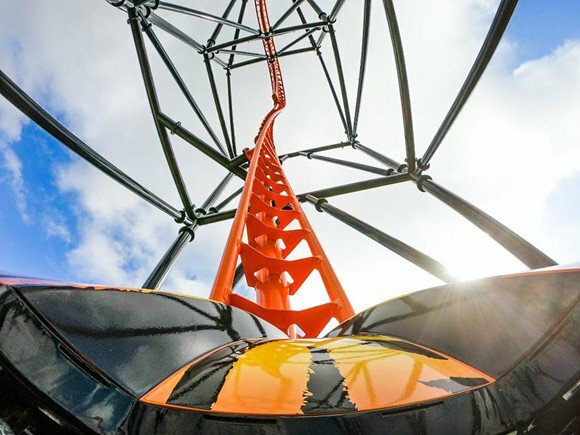 ICON opened to the public in May 2018 and since then has launched hundreds of thousands of guests on an exhilarating journey across the South side of Blackpool Pleasure Beach. The ride, which was manufactured by Mack Rides in Germany, represents a £16.25M investment. The Blackpool Civic Trust was formed in February 1975 to encourage and support the town of Blackpool and its people. It’s objectives and aims are to stimulate a sense of Civic Pride to promote high standards of planning and architecture and to secure the preservation, protection and improvement of features of historical or public interest. The Trust keeps an eye on Listed Buildings and Conservation Areas maintaining an interest in areas relevant to Blackpool’s status as a premier resort. Comments Off on Icon named Best New Visitor Attraction at Blackpool Civic Trust Awards • Extra! Extra! GLENWOOD SPRINGS, Colo. — There’s a new gondola in the Roaring Fork Valley, and Glenwood Caverns Adventure Park is ready to celebrate its completion. 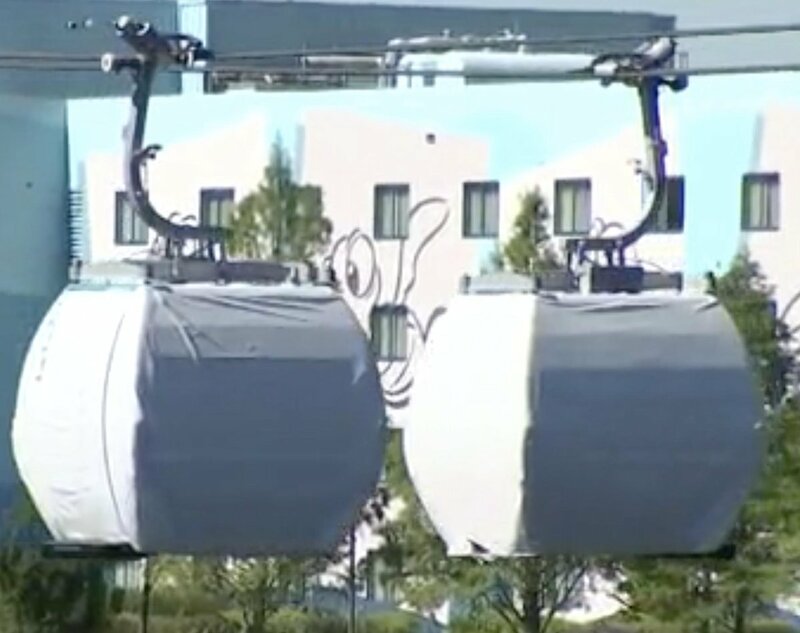 The Glenwood Gondola, which replaces the park’s former Iron Mountain Tramway, has been under construction since October 29, 2018. On Saturday, April 20, the mountain-top theme park in Glenwood Springs, Colorado, is rolling out the red carpet to introduce its newest attraction. Comments Off on Glenwood Caverns Adventure Park celebrates grand opening of the Glenwood Gondola • Extra! Extra! LONDON — Scruffy Dog Creative Services would like to congratulate Dreamwood Park Russia on their Golden Pony Award, won in early March, in Moscow. Scruffy Dog Creative is proud to have worked on this award winning park, delivering the masterplanning, concept design, development, schematic design and detail design, along with the other creative partners. The Golden Pony Awards are hosted by Facto Edizioni, publishers of Games & Parks Industry magazine in cooperation with the Raapa, Russian Association of Amusement parks and attractions. Dreamwood Park, is located within Mriya Resort located in Yalta, Republic of Crimea, Russia, won the award for the professional commitment that is behind the creation of this park in terms of design, theming, choice of attractions, in order to give life to a unique and inspiring experience. Comments Off on Dreamwood Park wins Golden Pony Award • Extra! Extra! Best American’s Neon Collection currently includes Neon Ninja Courses that feature a steel truss system powder coated in an array of neon colors, as well as a choice of neon ninja elements that illuminate under black lights. Best American’s Neon Collection also features a selection of fully customizable Neon Climbing Walls, Neon Air Bags and Neon materials that can be incorporated onto their Trampoline Courts. Rockin’ Jump Vacaville incorporated a Neon Ninja Course with a neon orange truss system and neon green ninja elements that produce a vibrant glow when exposed to black lights. There is an air bag beneath the course with neon graphics that illuminate under black light as well. The trampoline park also upgraded their existing dodgeball court with new neon yellow trampoline pad covers and trampoline beds with neon yellow stripes that glow under black lights. Rockin’ Jump Vacaville expressed their excitement about the new ninja course and indicated that the addition of the glow-in-the-dark elements and attractions has resulted in a positive response from guests of all ages who are thrilled about the park’s update. Comments Off on Rockin’ Jump retrofits with glow-in-the-dark attractions • Extra! Extra! “AT&T executives and the advertising agency that created this ad owe an apology to the hard-working men and women who make up our industry and provide safe family entertainment throughout the United States to tens of millions of people each year,” said Chiecko. “Ride safety is our industry’s highest priority. Amusement rides meet tough international standards and ride safety is heavily regulated. The ride shown in the AT&T ad would never have passed one of the many state inspections our rides receive each year, and would not have been allowed to operate in the condition shown. “AT&T’s corporate values say that ‘when we make a mistake, we have the character and courage to make it right and learn from it,’” said Chiecko. “Many of our members are AT&T customers and the company owes them an apology and a promise to pull this offensive inaccurate ad. Comments Off on Amusement Industry denounced inaccurate stereotypes in AT&T commercial; inaccurate ad targeting industry does not meet AT&T core values • Extra! Extra! ORLANDO, Fla. — This summer, Universal Orlando Resort will debut its next original concept dining experience – Bigfire – an all-new, full-service restaurant that will bring a specially created menu and a highly-themed environment directly to guests at Universal CityWalk – and take open fire cooking to a whole new level. Bigfire will be another example of what happens when the Universal Creative team that designs world-class theme park attractions partners with Universal’s award-winning culinary team to create incredible dining experiences for guests. When it opens, Bigfire will become the next highly-themed, original concept restaurant at CityWalk, and join other popular experiences such as The Toothsome Chocolate Emporium & Savory Feast Kitchen, NBC Sports Grill & Brew, The Cowfish Sushi Burger Bar, VIVO Italian Kitchen and more. 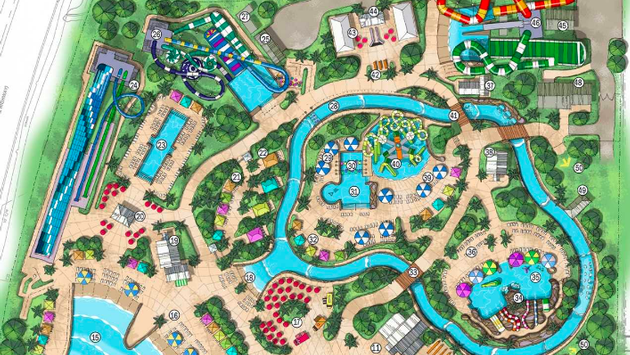 The restaurant will be located between VIVO Italian Kitchen and Jimmy Buffett’s Margaritaville on the edge of the lagoon – offering incredible views of Universal CityWalk. Comments Off on New Universal Citywalk restaurant, Bigfire, brings fireside dining experience directly to guests • Extra! Extra! WILLIAMSBURG, Va. — Busch Gardens Williamsburg offers a delectable culinary tour around the world with its seventh annual Food & Wine Festival. Guests can enjoy authentic international tastes at 19 themed food and beverage kiosks featuring specialty entrées and desserts and more than 100 craft beers, wines, specialty cocktails and non-alcoholic beverages.The Food & Wine Festival will take place every Friday, Saturday and Sunday, May 17 – June 30, and Memorial Day Monday. The festival is included with park admission. Festival entrées, beverages and desserts are available for an additional fee. “With its assortment of tasty international creations, our Food & Wine Festival has established Busch Gardens Williamsburg as a leading culinary destination in the region,” said culinary operations Senior Leader Franz Kitenko. “This annual festival provides tastes for every palate in one convenient location.”The Busch Gardens Food & Wine Festival offers park guests the opportunity to sample a variety of food and beverages not normally served in the park. Comments Off on International tastes for every palate at the Busch Gardens Food & Wine Festival • Extra! Extra!